Home / 2014 / Canada / Olympics / Oh Canada! The olympics are right around the corner and I'm getting incredibly excited! The Vancouver 2010 olympics were by far the best I have ever seen. I know, I know, I'm biased. Canada was amazing and now holds the record for the most gold medals won by a host country in the winter olympics, with 26 medals. The opening ceremony was unforgettable, especially K.D. Lang's rendition of "Hallelujah". There was heart break when Jennifer Heil came second in the moguls (when clearly she deserved gold), and Joannie Rochette's emotional skate after her mother passed away, leading to a bronze. There was euphoria when Alexander Bilodeau won the gold for men's moguls, marking the first gold medal for a Canadian athlete on home soil, when Tessa Virtue and Scott Moir grabbed the gold for ice dance, and watching Clara Hughes compete in the winter olympics as a speed skater, after she had competed in the summer olympics two years prior as a cyclist, while overcoming the adversity of her mental health issues. And who can forget Sidney Crosby's gold medal winning goal in the men's hockey! (Watch out USA, we plan on defending our title). Needless to say, I'm holding my breath waiting for Sochi 2014 to begin! We are planning on having a party in celebration of the opening ceremonies (also, because it happens to fall on my mom's birthday!). 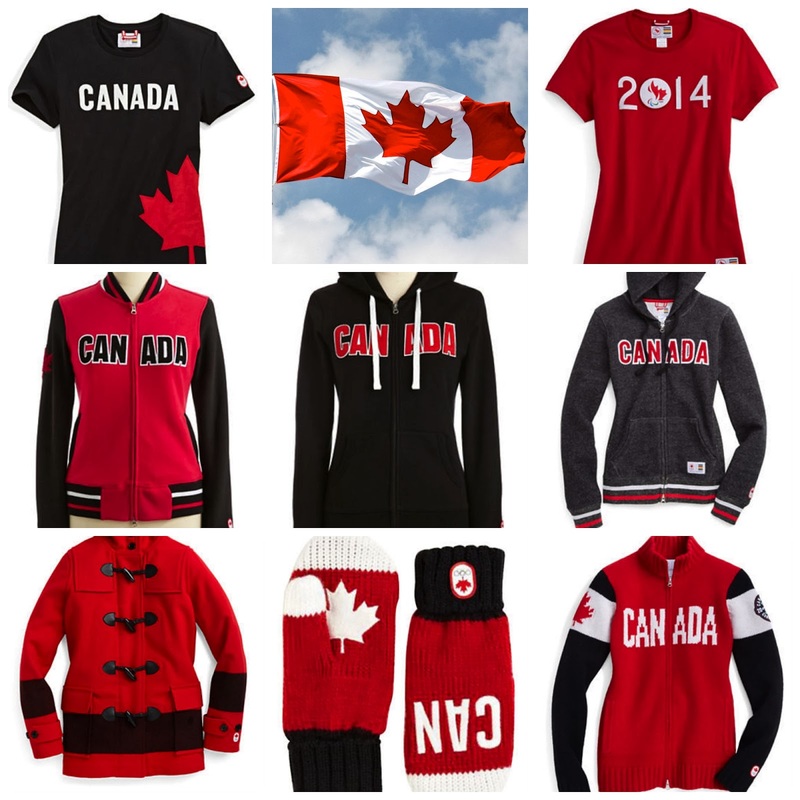 And while Canada doesn't have a fancy-smanchy designer to create the outfits for the olympics, we do have North America's oldest corporation: The Hudson's Bay Company. The clothes are simple and understated, and don't cost a months rent (like the hideous Ralph Lauren cardigan for $600 which looks like a flag threw up on it). Here are my top Team Canada picks! The entire line is available here.